They are all available in one PDF document, available to download below. 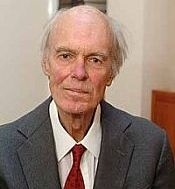 Sir David Calcutt was the Gresham Professor of Law between 1992 and 1995. An eminent barrister, Sir David Calcutt served as chairman of numerous government inquiries and tribunals, but was perhaps best known for his recommendations for statutory controls of the press following the Review of Press Self-Regulation in 1993. Born in Marlow, Buckinghamshire, Sir David Calcutt became a chorister at Christ Church, Oxford, and after becoming a music scholar at Cranleigh, of which he was later chairman of the school board, he won a choral scholarship to King&apos;s College, Cambridge. There he read not only law but also music. He was a Harmsworth law scholar when called to the bar in 1955, joining Middle Temple and the Western Circuit. He supplemented his earnings by working for the Times law reports, of which he later became editor. By the early 1960s, he was regularly in the court of appeal and the divisional court. In 1969, he successfully appeared in a then rare case of a man convicted of murder when the court of appeal admitted evidence to show the original pathologist might have erred. Always maintaining his love of music, in 1970 he failed to convince the court that the revenue commissioners were wrong in claiming purchase tax from an invention known as the Stylophone. He argued that it was a keyboard instrument and so exempt. The court found it was not. In 1973, he prosecuted Maureen Bingham, the wife of the naval officer who had passed secrets to the Russians. She received two-and-a-half years and Sir David, in the court of appeal, successfully argued that contacting a member of the Soviet Embassy was a sufficient preliminary step in the venture to justify her conviction. Sir David took silk in 1972, and was head of chambers which he ruled in, some said, a benevolent dictatorship from 1976 to 1988. He had become deputy chairman of Somerset quarter sessions in 1970 and now became a recorder of the crown court. He was chairman of the bar in 1984, often the final step to an appointment to the high court bench. Instead, however, he became master of Magdalene College, Cambridge, where he had been teaching law in the 1970s. From 1974 to 1977, Calcutt had been an inspector for the Department of Trade into the Cornhill Consolidated property crash, and over the next twenty years he headed numerous inquiry boards. He was chairman of the takeover panel, and also the home secretary&apos;s independent assessor on compensation for miscarriages of justice, awarding nearly £1m to Paddy Hill of the Birmingham Six and £30,000 to Colin Wallace, wrongly convicted of killing his friend in a long-running cause célèbre in which Wallace was championed by Paul Foot. Sir David did explain his assessments - a policy not adopted by his successor. At one end of the scale, he dealt with cases for the Criminal Injuries Compensation Board. At the other, he headed the inquiry into the Falklands Island Commission of Inquiry into a hospital fire in 1984. In 1989 he was appointed chairman of the Committee on Privacy and Related Matters. It followed MPs&apos; calls for curbs and a comment by David Mellor that journalists were "drinking in the Last Chance Saloon". The next year, Sir David recommended a Press Complaints Commission to replace the Press Council. If self-regulation did not work, then he recommended a statutory body be created. Nearly fifteen years later Calcutt was still being referred to as the keeper of that saloon. His 1993 Review of Press Self Regulation reiterated the potential need for a statutory press tribunal, as well as sterner laws to protect privacy. The latter was not a measure that appealed to the Conservative government of the time. When, that year, pictures of Princess Diana leaving a gymnasium caused another furore, bringing suggestions that after all there might be a press ombudsman, Calcutt was an outsider for such an appointment, but nothing came of it. Sir David was chancellor of the dioceses of Exeter and Bristol from 1971 and in Europe from 1983. Possessed of a fine bass voice, he retained an interest in church music as well as the preservation of the countryside. Knighted in 1991, he could genuinely be described, in the best meaning of the phrase, as a public servant. His friends ascribed the volume of work he undertook to his ability to get straight through to the core of the problem and by having as clear a mind as he did a desk. Wellbeing at the Bar? Is a Family Lawyer's Work all Stress and Distress? What Are Your Greatest Frustrations With The System In Which You Work? What is the Distinction Between Criminal and Civil Law? What is the Law surrounding Suicide and Assisted Suicide?